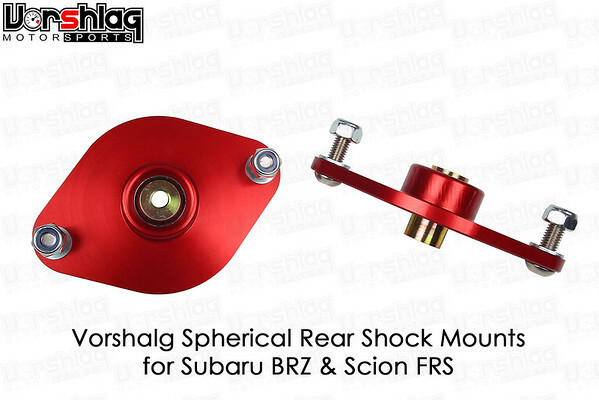 REAR SHOCK MOUNTS : New for 2017, Vorshlag Spherical Rear Shock mounts! Optional Rear Shock Mounts include Vorshlag Spherical design built with the same oversized spherical bearing as our camber plates. 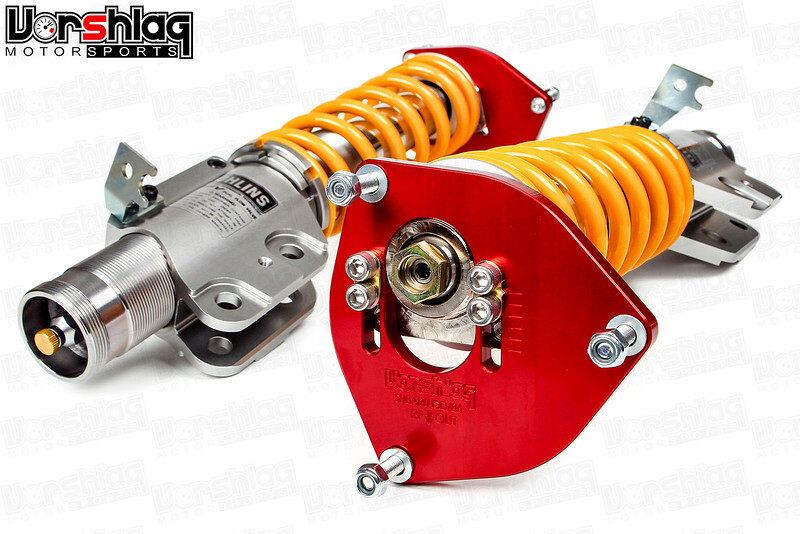 You can also can choose to use your OEM rubber shock mounts with some modification. We recommend the spherical RSMs for most users that see any competition use, such as autocross or track events. If the car is a daily driven vehicle only and/or the user is worried about bad roads and any additional NVH transmitted through a rear spherical mount, then choose to retain your OEM style mount. The advantage to spherical RSMs is their ability to transmit reactions to shock forces instantly and direct - something that shows up on a shock dyno plot.